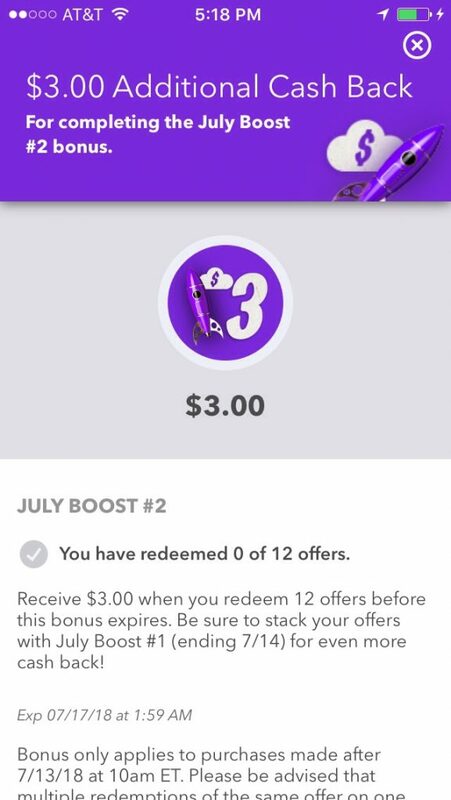 It’s July Boost time at Ibotta! I can’t believe I’m just now seeing this. Sorry for the late notice! If you have some offers to redeem, do it tonight! 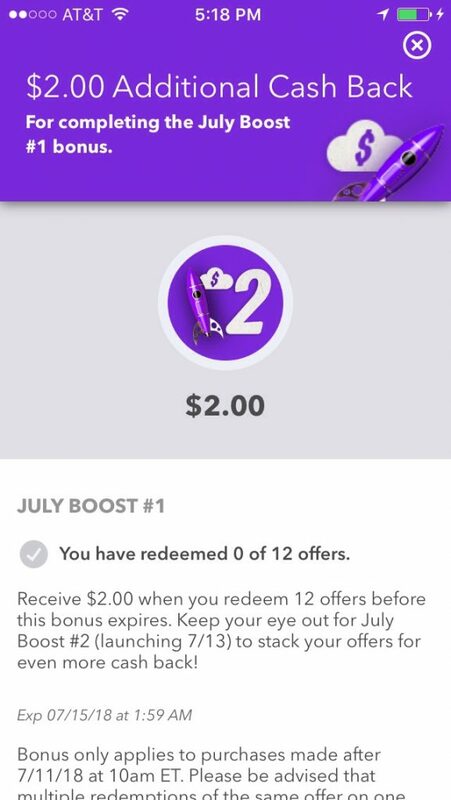 12 offers redeemed before 1:59AM EST on 7/15 will get you an extra $2 in the Ibotta July Boost #1. 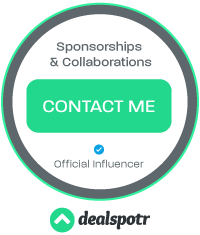 Then for purchase made after 10am EST on 7/13/18 will count toward the July Boost #2! 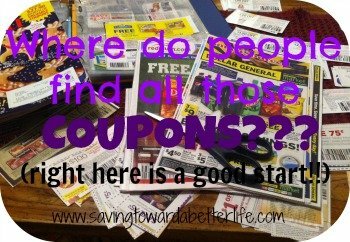 You will get an extra $3.00 for redeeming 12 offers! You do not have to get bonus #1 to be eligible for bonus #2 so even if you miss out on #1 you can get #2! And usually these monthly boosts comes in threes so I would be watching over the next day or two for a THIRD Boost! Plus, all the offers redeemed for the Boost count toward your July Teamwork Bonus too! Previous post: Target: Schick Quattro Razors just $.99!